All of the standard requirements for a tandem glider have been well and truly satisfied! The TWIN 4 is a real sensation in more than just performance, as it received LTF/ EN-A classification from the DHV for a weight range of 140kg to 220kg without using the 8cm long trimmers. The Twin 4 is a pleasure to fly at the upper end of the weight range and also at the lower end because of its (nearly) “solo handling”. It was even flown with a load of only 110kg to make sure that the entire weight range permissible can be used effectively. Only “big ears” with open trimmers received LTF/EN-B classification. 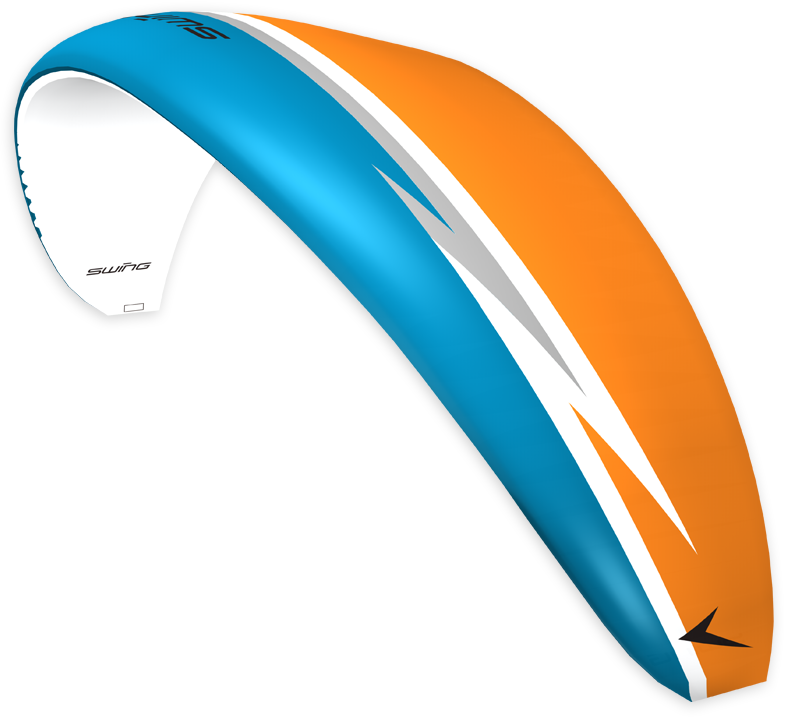 The HAT concept (high arc technology) was also used successfully for the Twin 4. This means that the canopy weight is only 8.6kg. A classy lightning flash design adorns the top surface of the Twin 4, while the bottom surface has been kept completely white so it can be used for sponsorship. The new colours have also been used and look great. In Germany, Austria and Switzerland, Swing will also offer the Twin 4 to commercial tandem operators, as other manufacturers do. "Every time we made a test flight, it was a really effortless pleasure to launch on the TWIN 4! Whatever the launch area, whether tight, flat or tricky, we never had any problems! The very clearly arranged line design meant that we didn’t lose any time having to sort out lines. Brilliant design Michael!" "The Twin 4 has given me back the pleasure of flying a tandem glider. 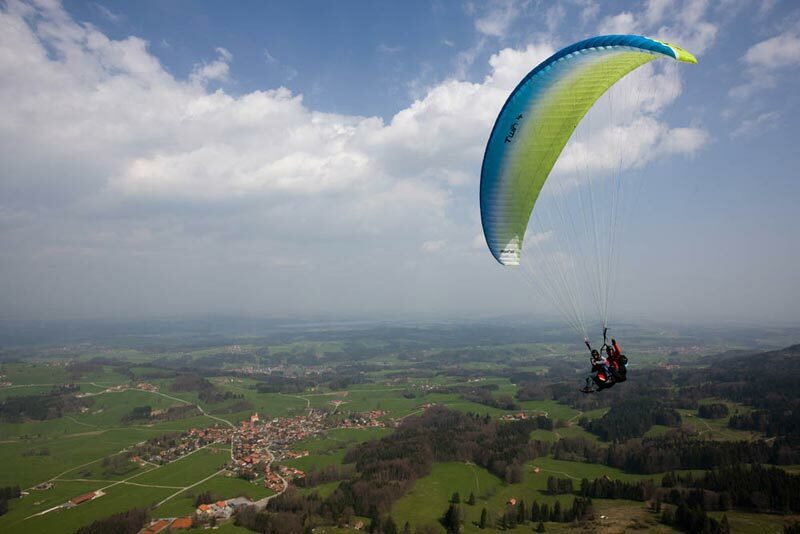 Very good speed and performance allow a whole new level in tandem paragliding. You go further and the speed is really fantastic, especially when the wind here in Cape Town unexpectedly freshens. Good and predictable ground-handling features as found with the Twin 4 are also a great advantage with our small launch sites". 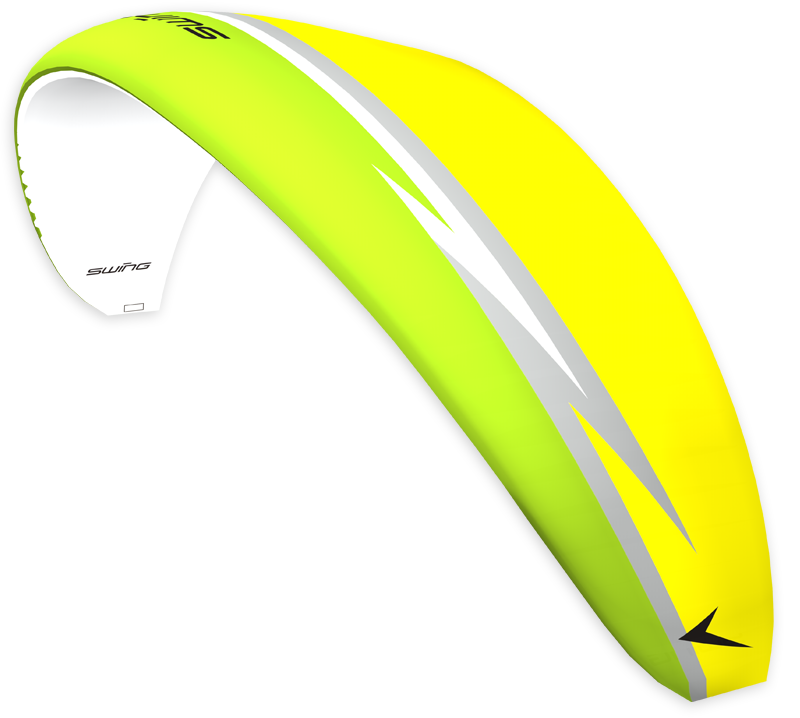 "It inflates reliably without shooting forwards. 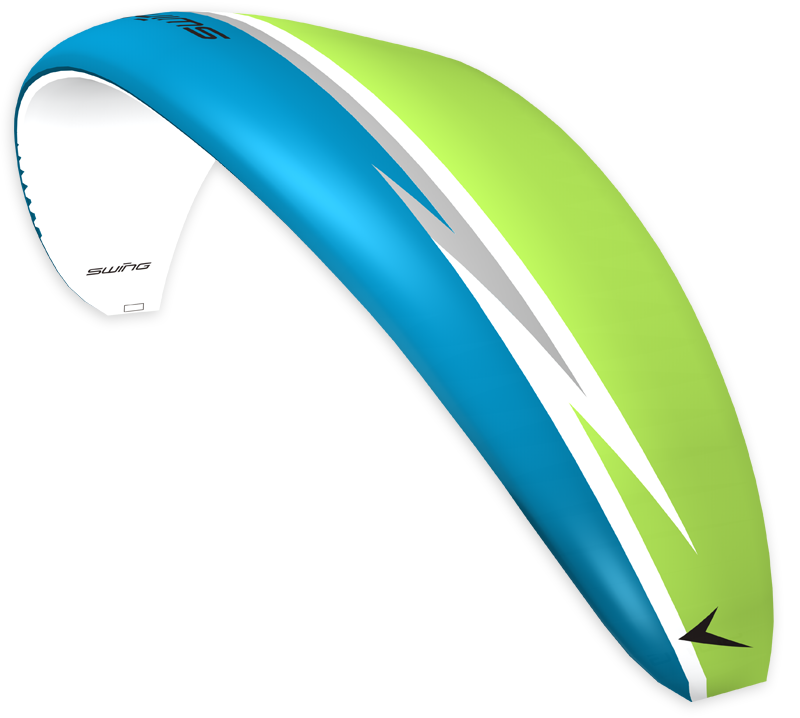 It becomes airborne at low speed and has a very long flare time on landing. This increases the impression of high performance, which comes to mind with any gentle braking during flight. The glider reacts so spontaneously that it requires a very sensitive touch on dynamic manoeuvres. I am now not only impressed by this glider, I am totally enthusiastic about it! Many thanks to the development team. "I have already had a short test flight on the Twin 4 and I can already say that I have never flown a tandem glider with such smooth handling. It also responds extremely sensitively to thermals. Another great success from Swing!! SWING's latest models have aroused great interest and a very positive reputation among fellow pilots. It is great fun to "hang around" under these gliders. Robert Staudacher (former German tandem champion)"
Following the long period of bad weather, I finally had the opportunity to fly cross-country with the Twin 4. It was a real pleasure - the speed, glide and handling were simply fantastic! It was at its best in strong thermals (ascent rate of 11.6 m/s), and it always gave me a good feeling and a sense of confidence. The result: a 106km flat triangle, Schmittenhoehe (Austria) on 5 June 2010 (see OLC tandem rankings). My conclusion: "A work horse and cross-country machine seen in perfection!" Robert Staudacher (former German tandem champion).